Most people don’t go to wine bars to be lectured by a sommelier, and even though wine bar culture is new to Moscow, the clientele has caught on to the idea that wine bars are places to socialize and learn in an informal atmosphere. Where should guests to the Russian capital go to get a good pour? On a typical Friday evening, Gavroche is filled with middle-class and creative hipster-types looking to get the weekend started in a relaxing atmosphere. The design of the place is a bit ordinary, but Gavroche could hardly ask for a better location near Park Kultury metro in central Moscow. The choice of wines is not overwhelming, but enough to satisfy the needs of a common wine drinker. Some 25 wines – both whites and reds – are available by the glass and more than 100 – are waiting to be consumed by the bottle. The lower price tag for 150 ml of Hugel Gentil 2010 is around $9, which is fairly acceptable for Moscow. Nevertheless the prices of wines by the bottle is rather on the high side for this “democratic” wine bar. You can’t lose if you choose a wine bar from the Grand Cru chain. Most of them are actually just wine shops with occasional tastings (if you are lucky enough to be invited) and only two are “real” bars with places to sit and sip. 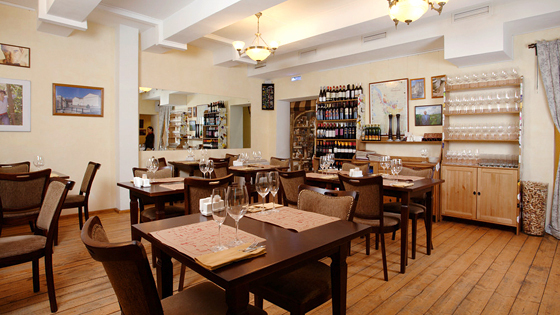 The first one, which also features very nice food, is on Malaya Bronnaya Street just beside Patriarch’s Ponds – the famous ponds featured in the Bulgakov’s “Master and Margarita”. 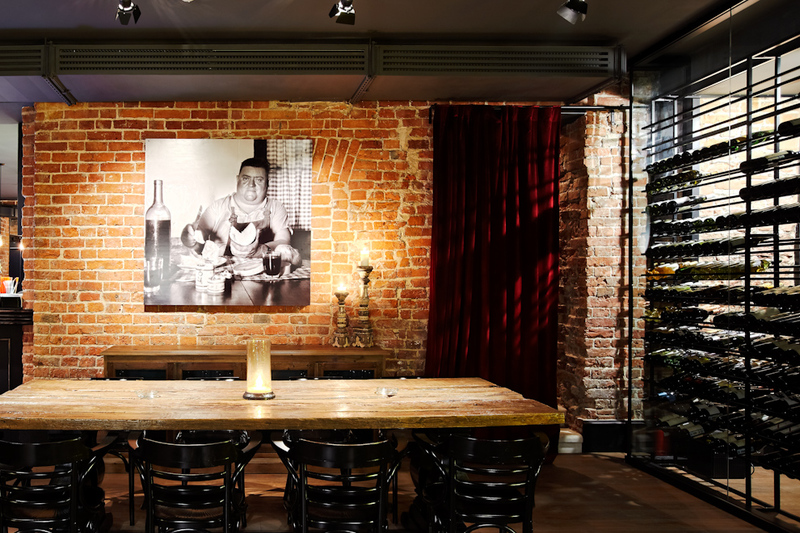 The wine bar is a creation of Maxim Kashirin and serves as the retail division of his Simple Wine importing company, which has a rather impressive fine wines and spirits portfolio – probably even the best in Russia. 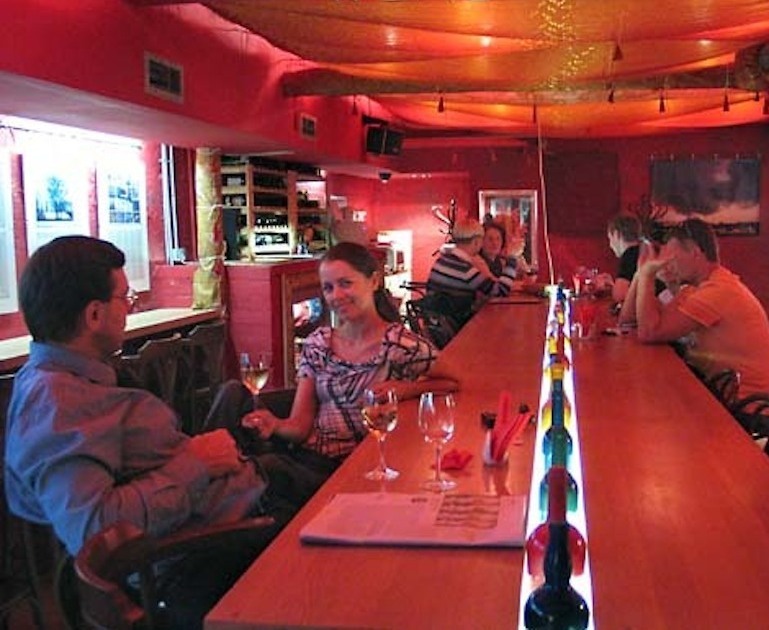 If you’re looking for the best wine price spread, the Vintage bar on Krasina Street is the choice for you. Despite its rather central location, the bar itself is no posh place. 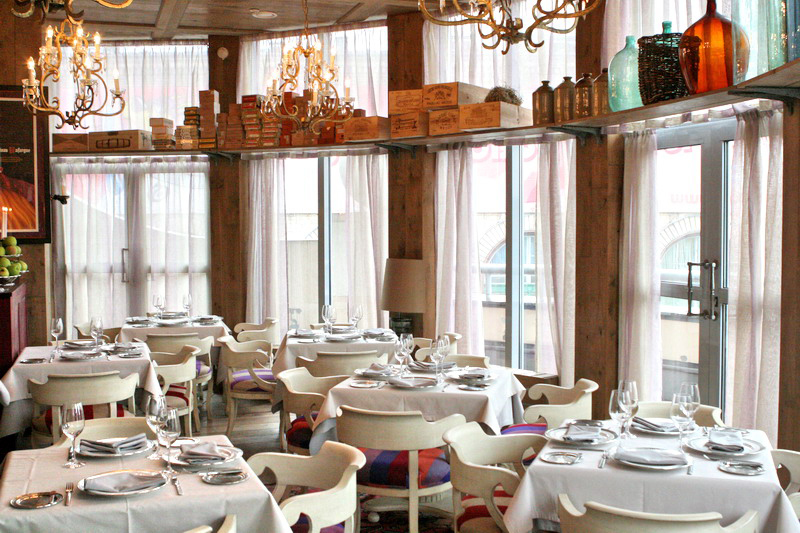 The modest interior seems to say that the owners are focused on wine, not design. 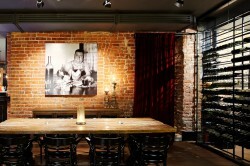 One of the most elite wine bars can be astonishingly empty on Friday night. 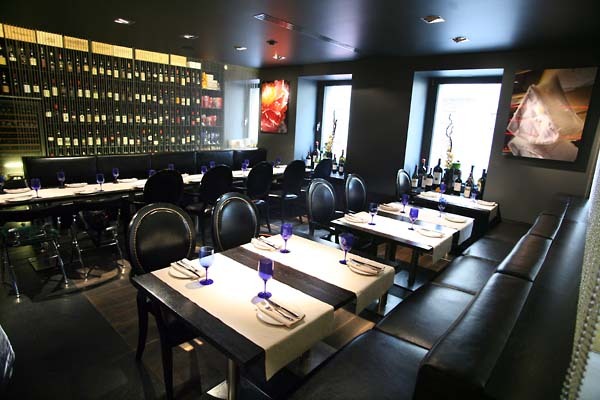 In fact, Dissident hardly qualifies as a wine bar; it’s more a wine restaurant with an extremely relaxing atmosphere and great staff ready to take care of everything. Dissident is a place with a long history, which is probably why it’s quite well known among wine people. Still the prices mean the crowd is made up less of people who really know wine and more of people who are ready to spend $20 on a glass of red Argentine Terraza de los Andes – and for this place it’s a hot deal. 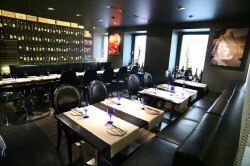 Despite some high wine prices, the food seems to be of great quality and price. The grilled lamb is especially excellent. Although Marco Cevretti is not in charge of Bontempi’s extensive wine list, he’s the person that really makes this place work. Situated just in front of the famous DomZhur (House of Journalists on Nikitsky Boulevard), Bontempi seems to be always booming with life – partly due to the current trend toward worshiping wine and food but more because of the great unconventional design of the main area of the bar, which is located below the ground level. If almost all other wine bars are generally sacrificing their food choices on the altar of extensive wine lists, Bontempi is the exception that proves the rule. Food is served in just the right portions, not very big, but extremely well done.